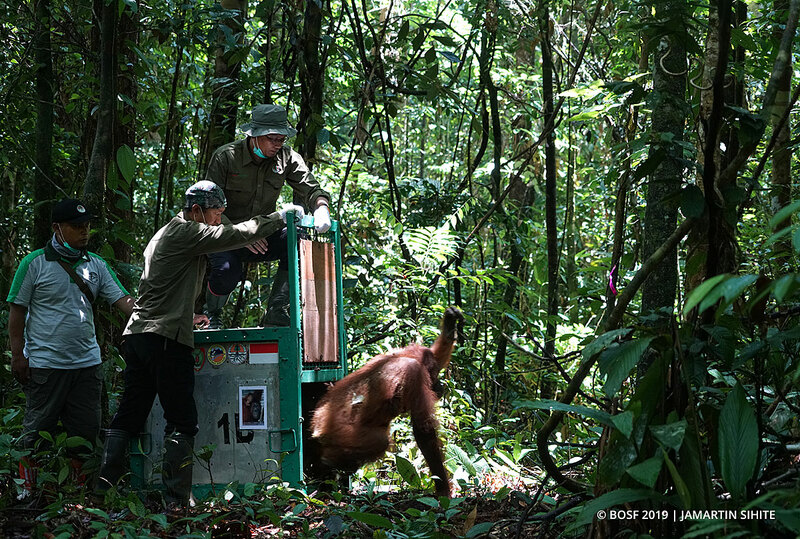 March 19, 2019 — The Borneo Orangutan Survival (BOS) Foundation this week has successfully released another six orangutans from the Nyaru Menteng Orangutan Rehabilitation Center to the Bukit Baka Bukit Raya National Park (TNBBBR) in Central Kalimantan. 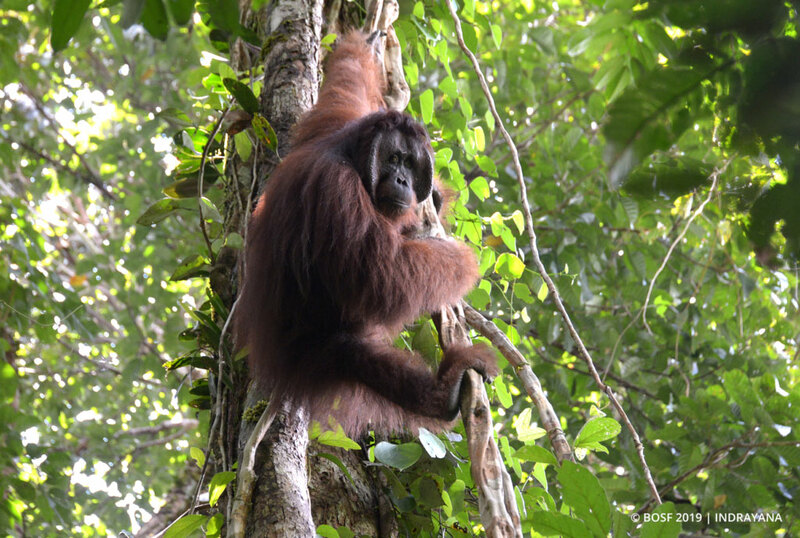 This latest release marks the continuation of the #OrangutanFreedom campaign that began in 2017, with the target of releasing as many orangutans as possible to natural forests, pre-release islands, and sanctuary islands. 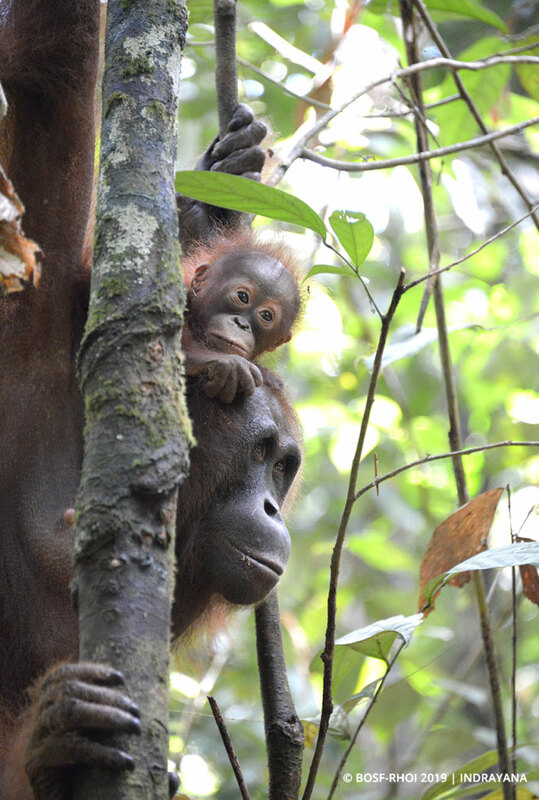 The six orangutans in this release included three males and three females; with mother-infant pair Buntok and Borneo, and a semi-wild orangutan named Rosidin. 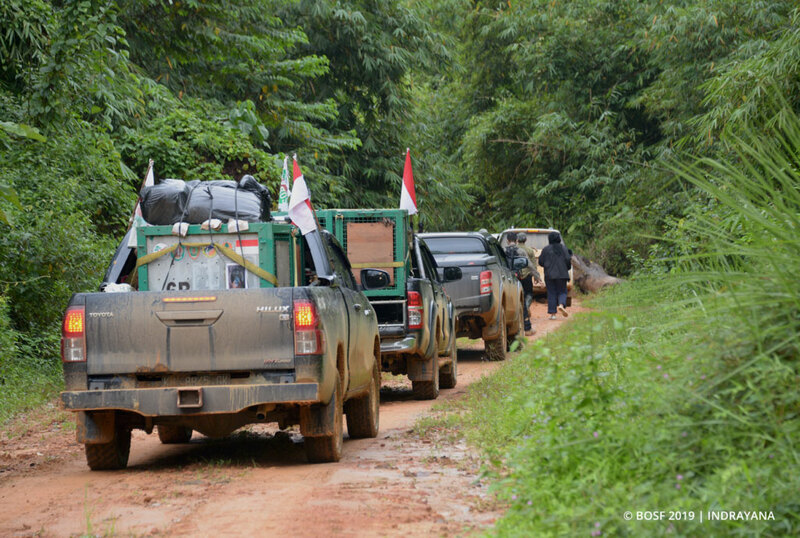 The group departed from Nyaru Menteng on 12 March, and were released the following day. 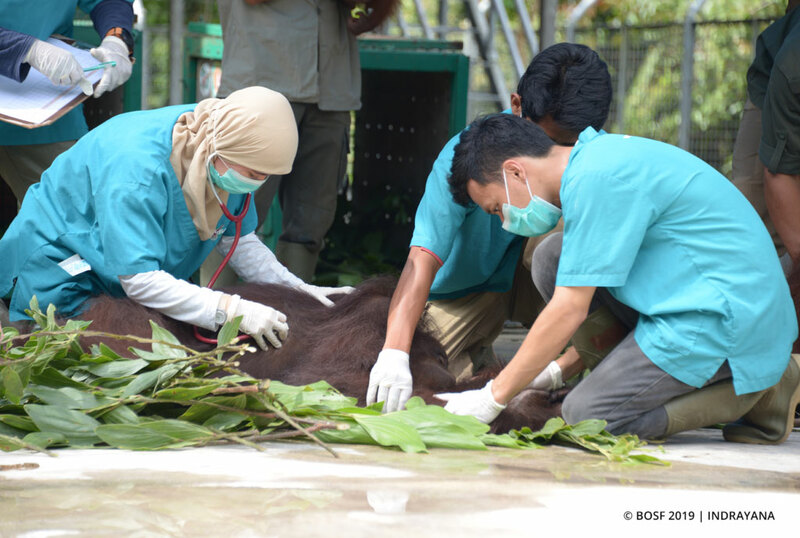 Our team at Nyaru Menteng commenced preparations in the afternoon at the quarantine complex, where the release candidates were carefully sedated by our veterinary medical team. Overcast, gloomy weather had little effect on the positive atmosphere surrounding the release. 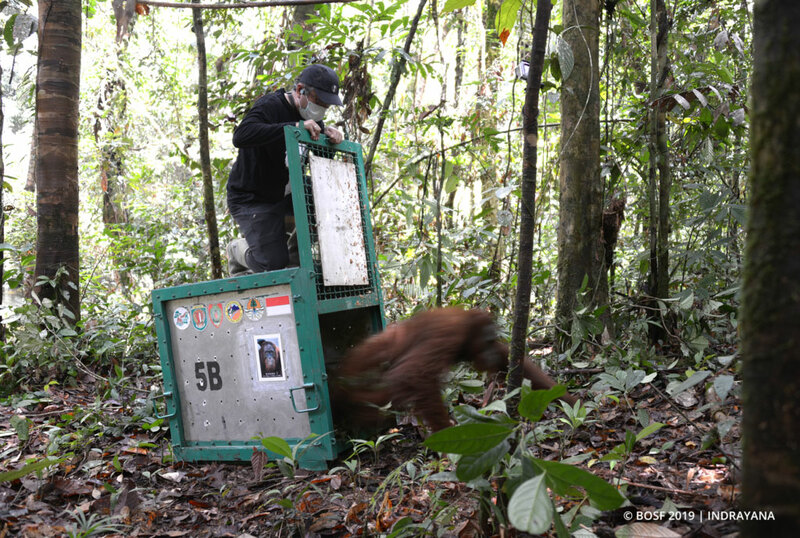 Our orangutan release team, as always, were filled with excitement and determination. Once preparations were complete, the orangutans were dispatched from Nyaru Menteng on a 10-12-hour road trip to Tumbang Tundu village. The release team was accompanied by heavy rainfall along the way, and needed to take extra care and effort to navigate the muddy, slippery roads. 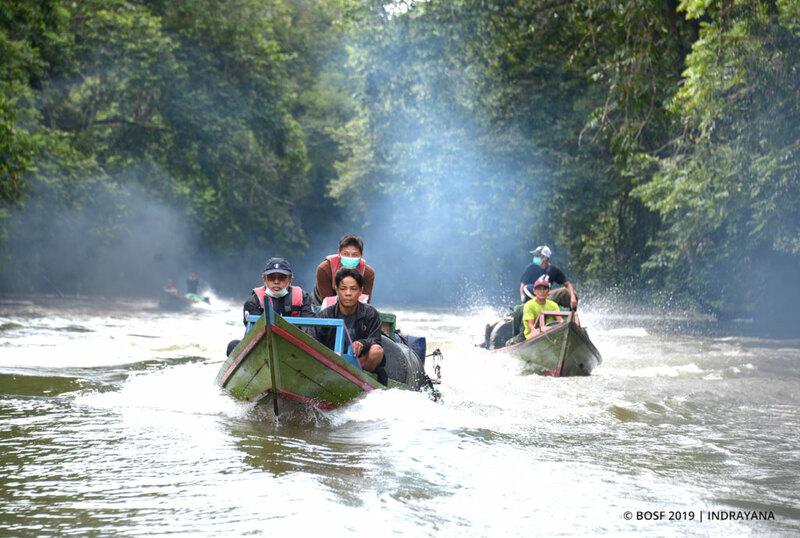 The group reached Tumbang Tundu village the following day, and from there continued on a 5-hour boat ride upstream along the Bemban River to reach the release point deep in the national park. Welcome to the TNBBBR: Danida, Tristan, Paijah, Rosidin, Buntok and Borneo are freed! On 13 March, the release was went off without a hitch. Danida’s cage door was opened first, followed by the cages of mother-infant pair, Buntok and Borneo, then Paijah, Tristan, and Rosidin. Once the doors were opened, each orangutan quickly climbed up the nearest tree and began exploring their new surroundings. All six wasted no time recovering from the arduous journey, and began foraging for natural food soon after their release. After the last cage was opened, our Post-Release Monitoring (PRM) team quickly began observing and gathering data on the activities of the released orangutans until they made their night nests. Our PRM team, made up of trained local community members who live on the outskirts of the TNBBBR, will continue to monitor the released orangutans’ progress over the next few weeks – through nest-to-nest monitoring, from dawn to dusk – to ensure they are all adapting well to their new environment. This is the 28th orangutan release event from Nyaru Menteng, and our first of 2019. With the release of these six, the total number of orangutans released by the BOS Foundation to the TNBBBR now stands at 120 individuals. Since 2012, we have now released 392 orangutans from the Nyaru Menteng and Samboja Lestari Orangutan Rehabilitation Centers to release sites located in East and Central Kalimantan! The BOS Foundation still cares for more than 500 orangutans at its Nyaru Menteng and Samboja Lestari Orangutan Rehabilitation Centers. 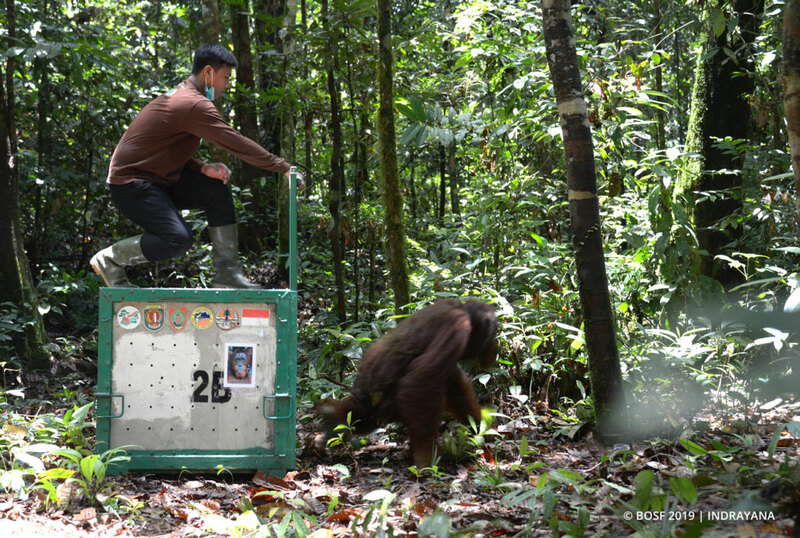 The process of rehabilitating orangutans up to the release stage is both costly and time consuming. We can only succeed at conserving orangutans and their habitats if there is support and cooperation from all stakeholders. 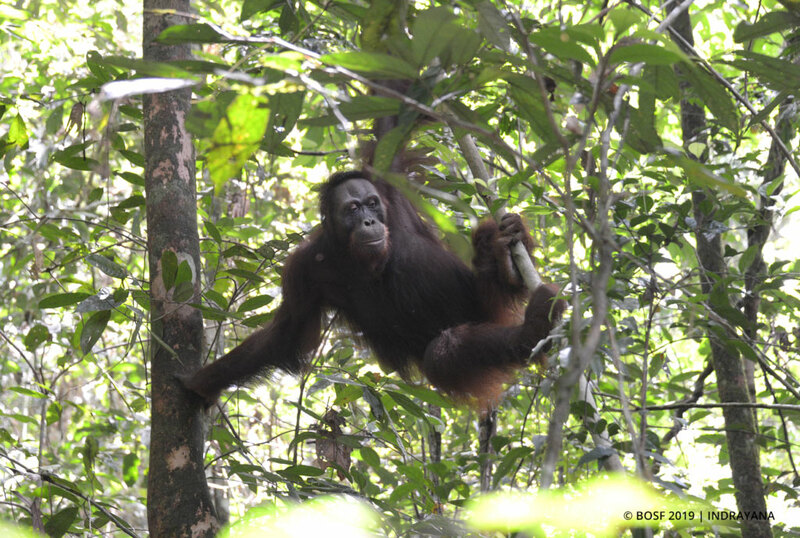 The BOS Foundation is extremely grateful for the moral and financial support provided by those involved in this latest release, and who continue to champion the orangutan conservation effort in Indonesia!